In the pre-1970s, most children attending Council Schools came in what was deemed "School Clothes", this could vary from school to school. 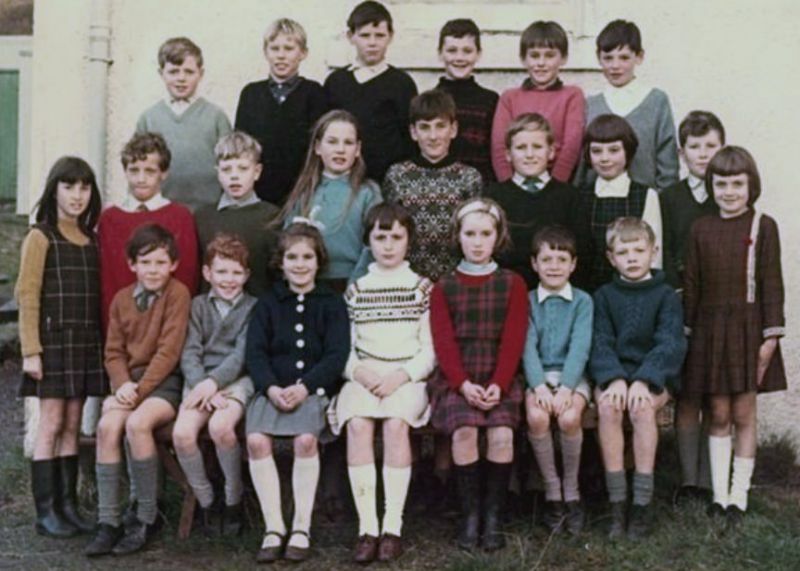 Some schools did have a uniform, which in some cases did include a blazer, however most schools settled for a blue or grey jumper, grey or white shirt or similar requests. 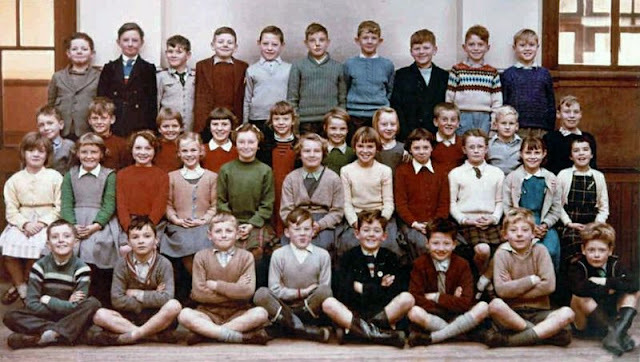 Many council schools accepted that their children wore clothes that would stand up to the general day to day school life and might last out a term or two without looking too scruffy. 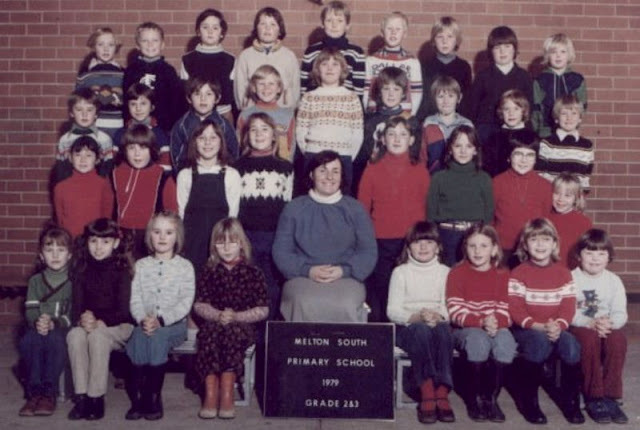 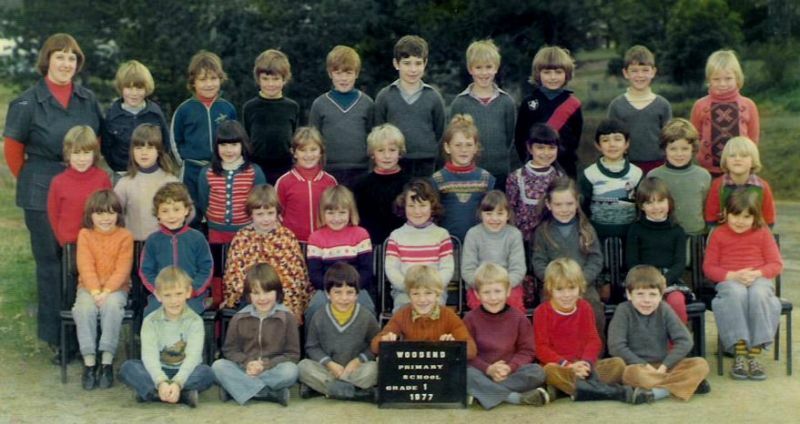 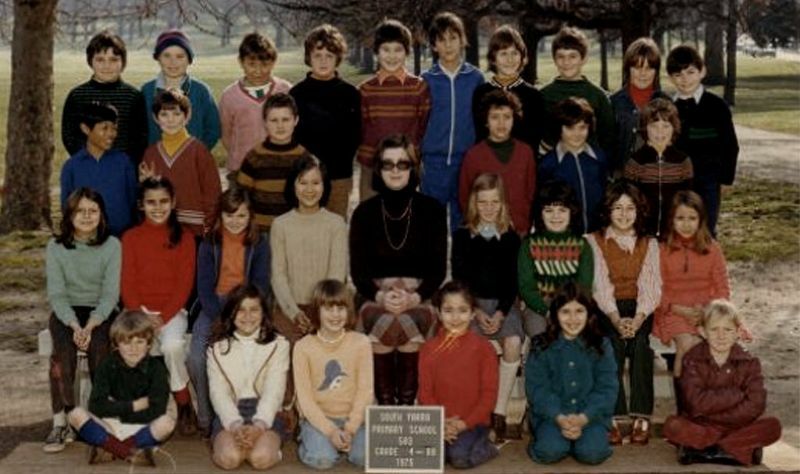 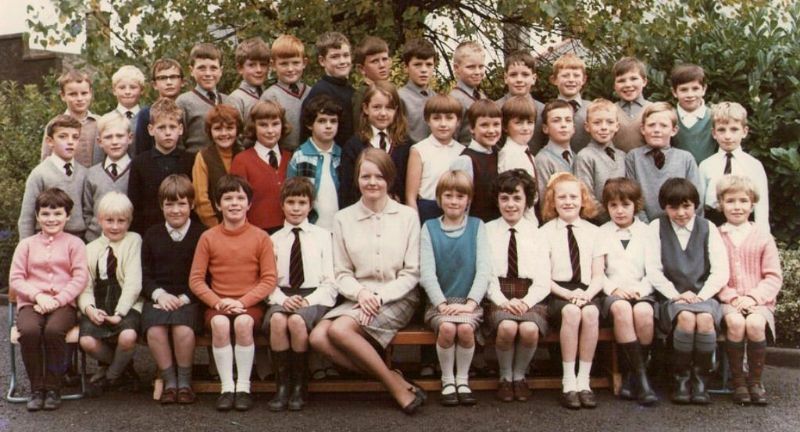 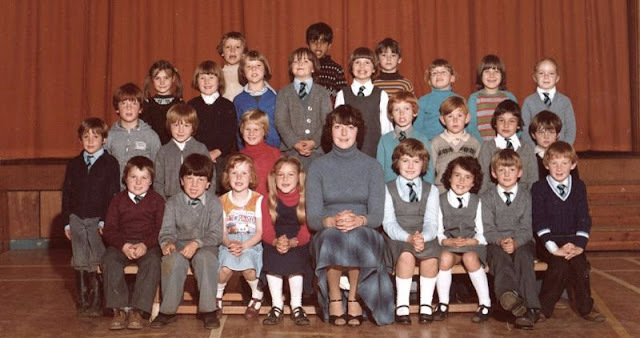 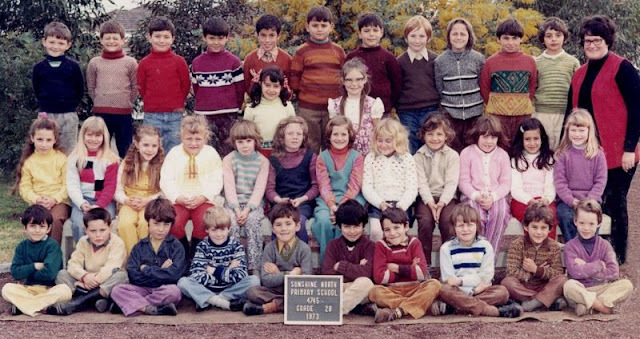 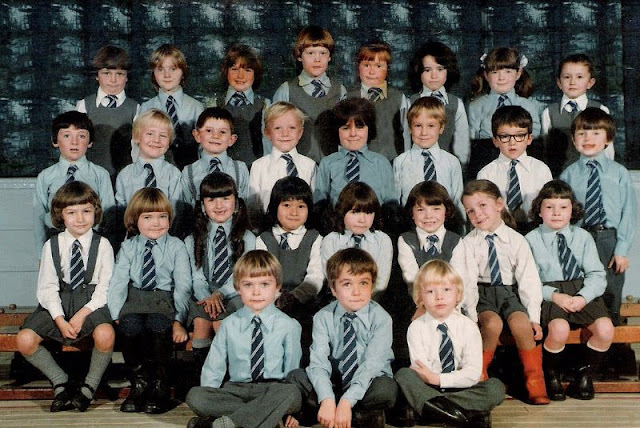 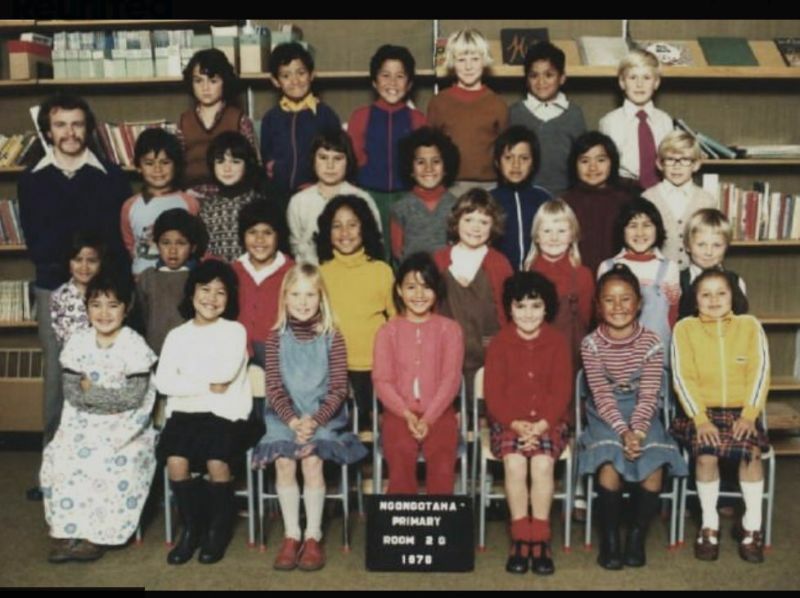 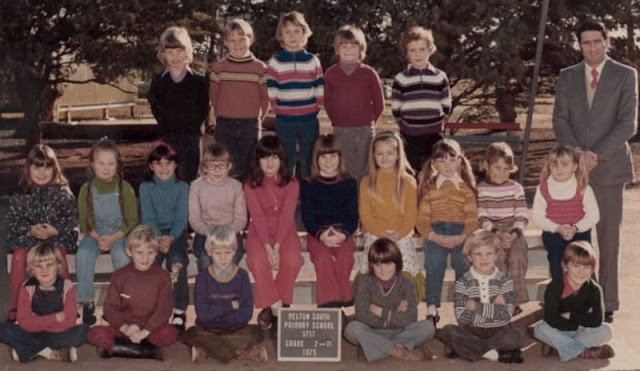 When it came to the class photo the teachers could arrange their children by their choice, often a row of boys in the front for modesty, then a couple of rows of girls and at top row of boys. Arranging by size to neaten up the group was often one task, those in rather worn clothes could be put at the back. 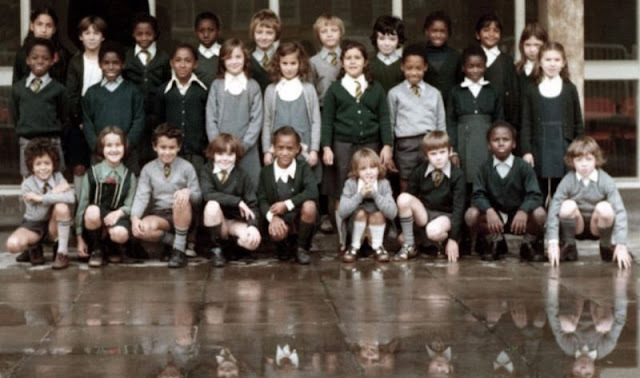 Some of the teachers in some schools seemed to have a competition between themselves as to how may of their children that decided to wear wellingtons during the school day, they could get on the front row. 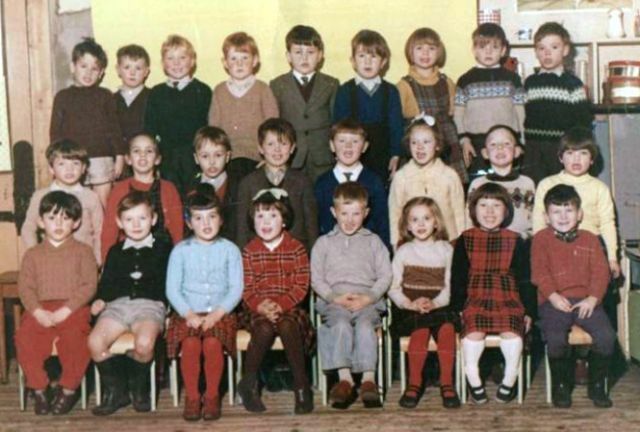 Or if there was a single child in wellingtons if the could get them in the centre of the picture. 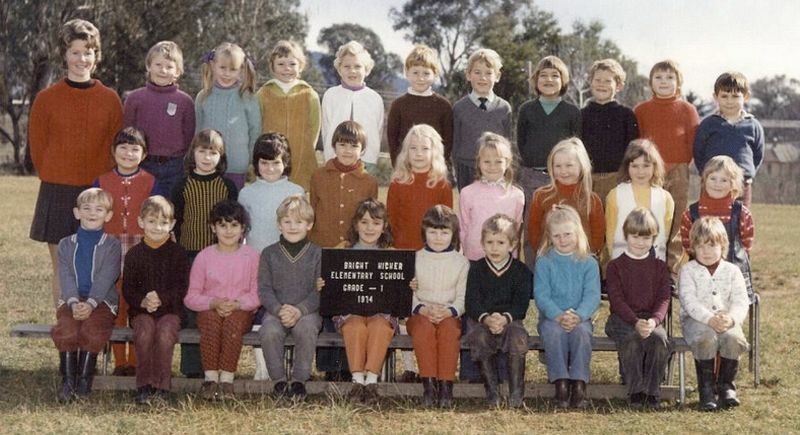 In later yeas all would become embarrassed over their school photos. 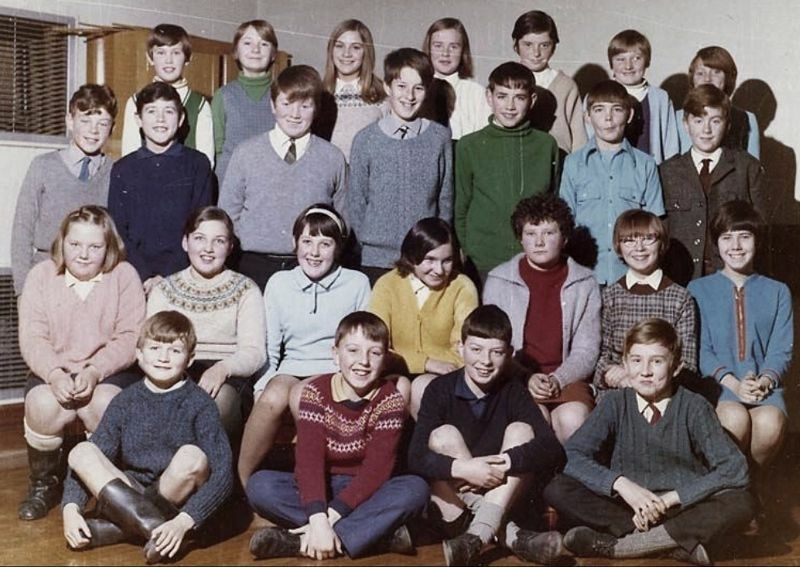 From the 1970s onwards more schools set a single uniform design for that school, and what their children were to wear indoors. The need for the teacher to arrange their group now became much less. 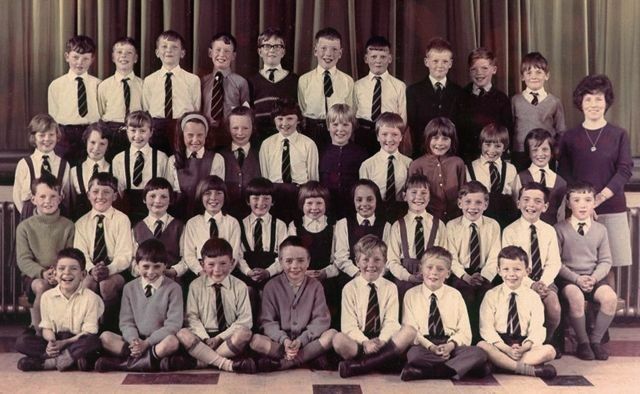 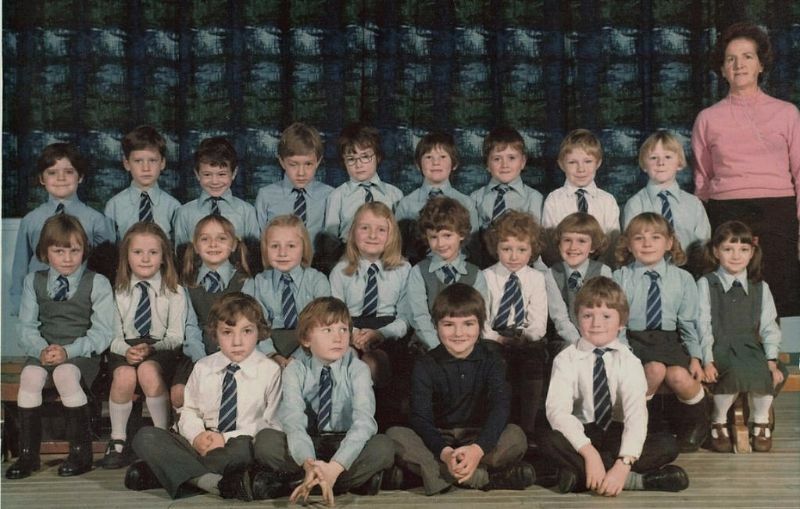 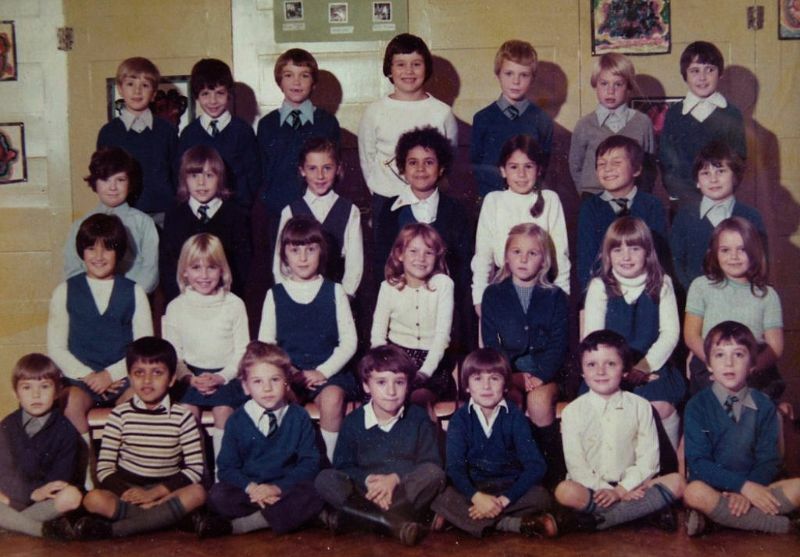 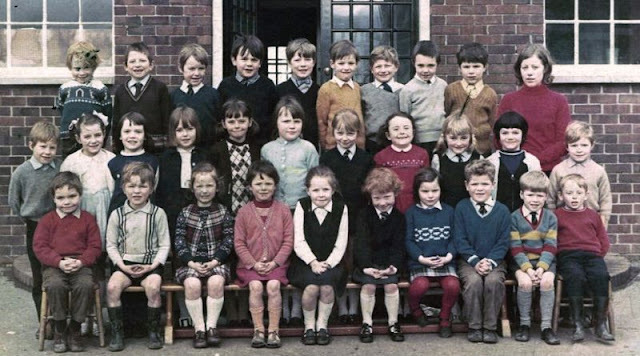 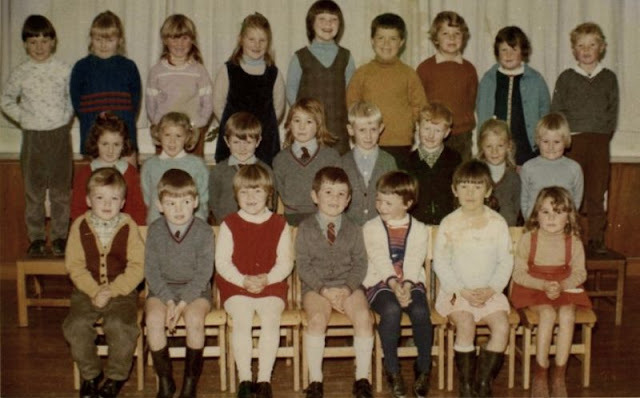 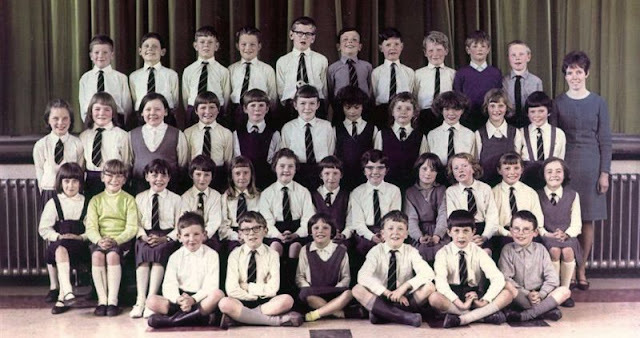 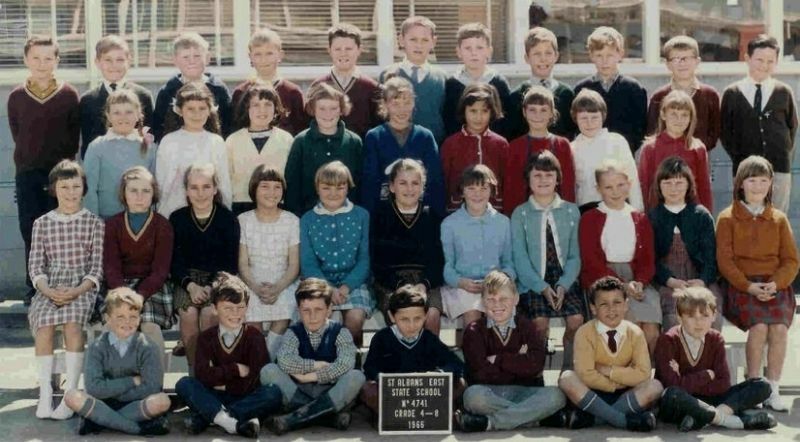 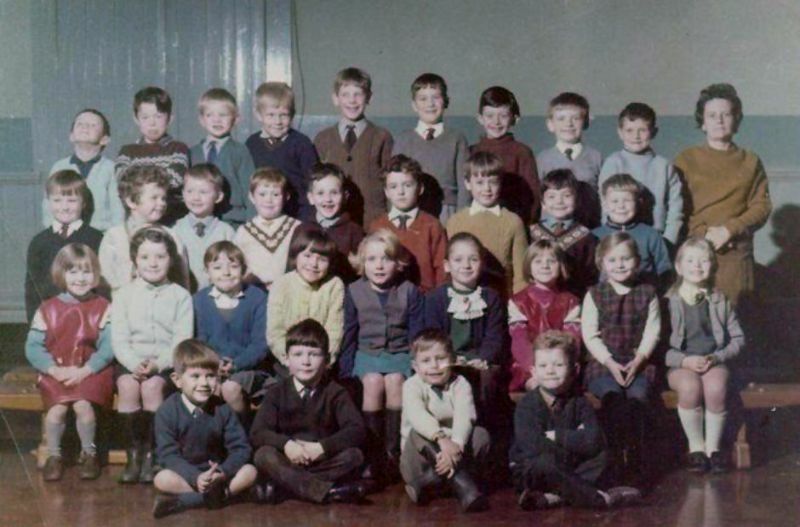 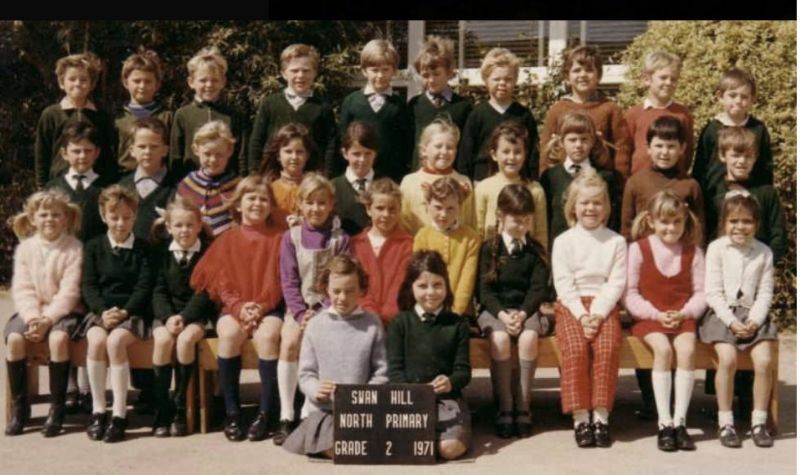 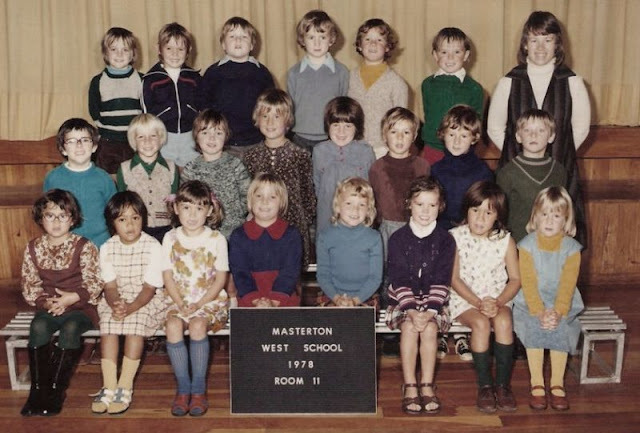 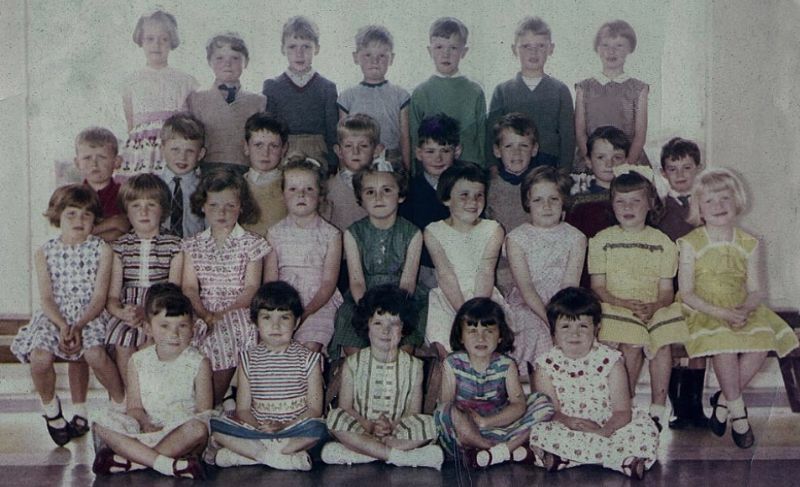 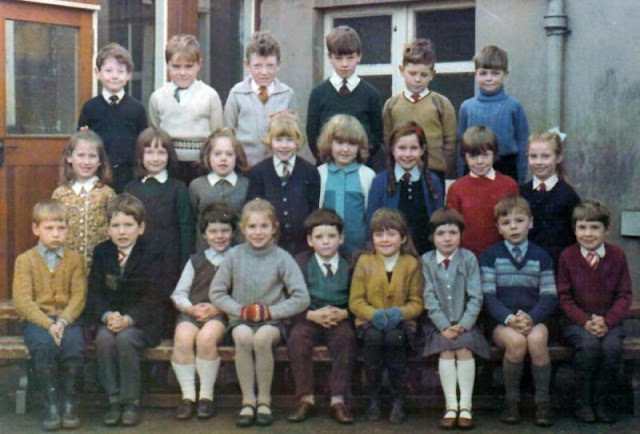 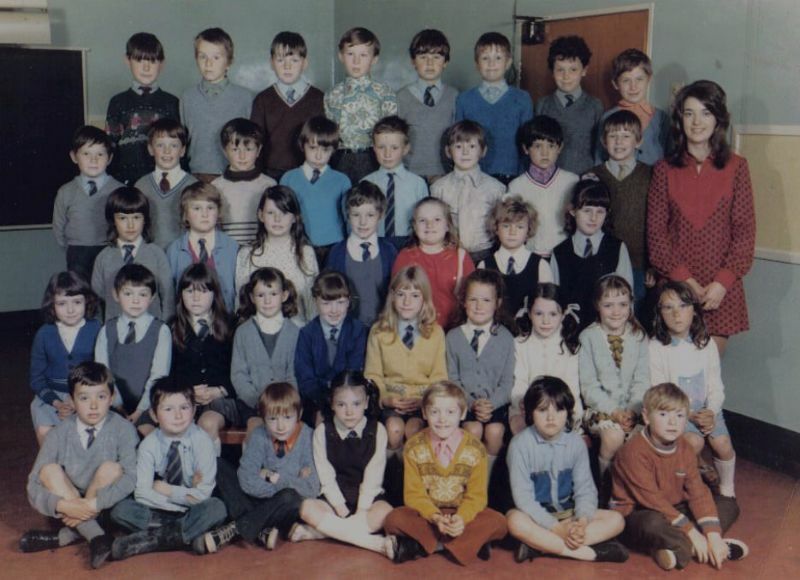 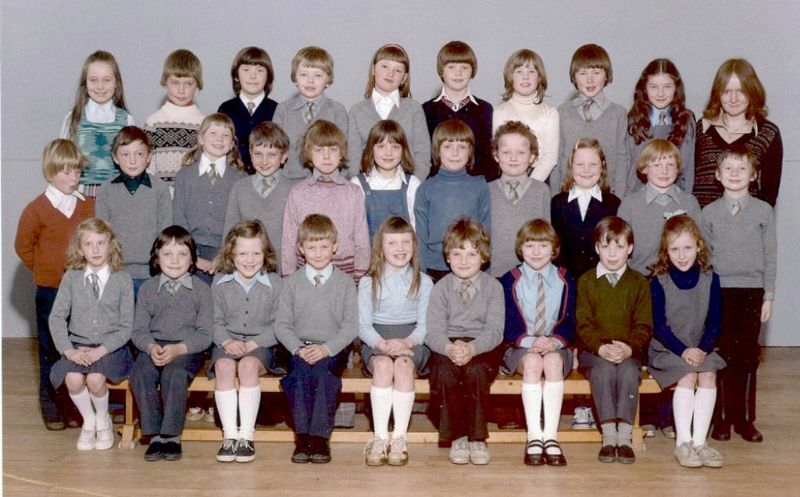 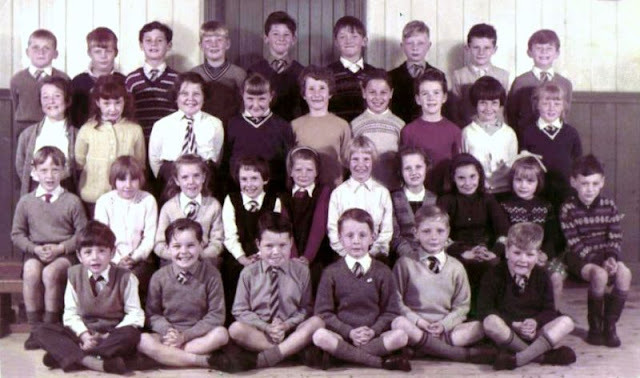 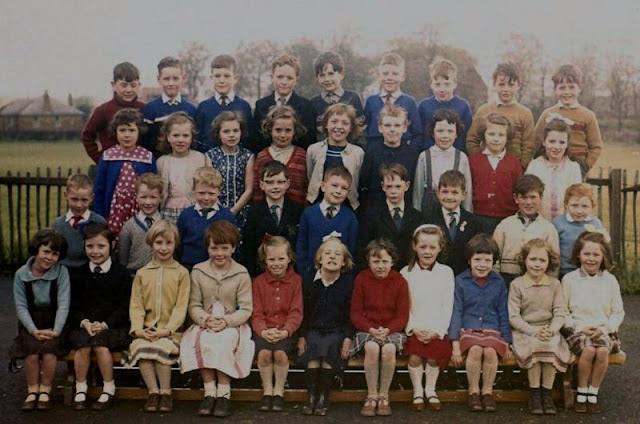 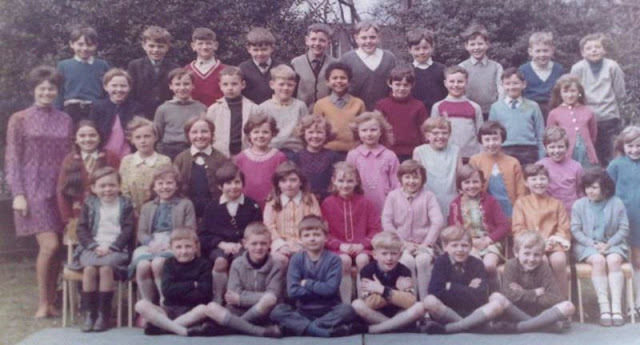 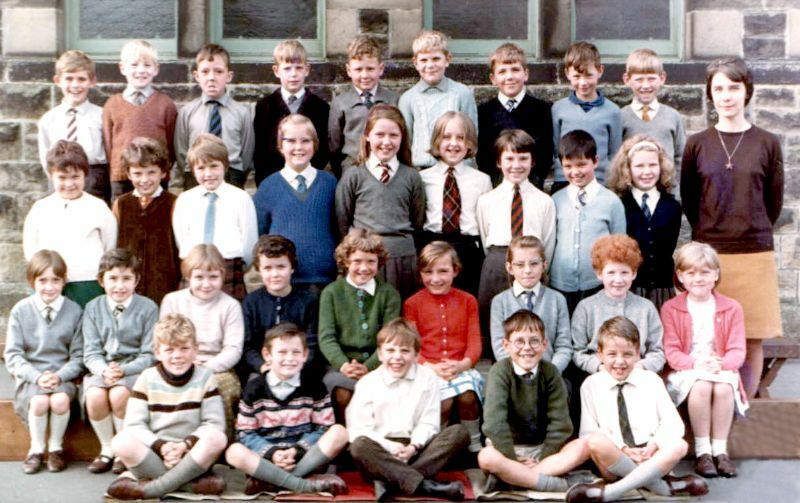 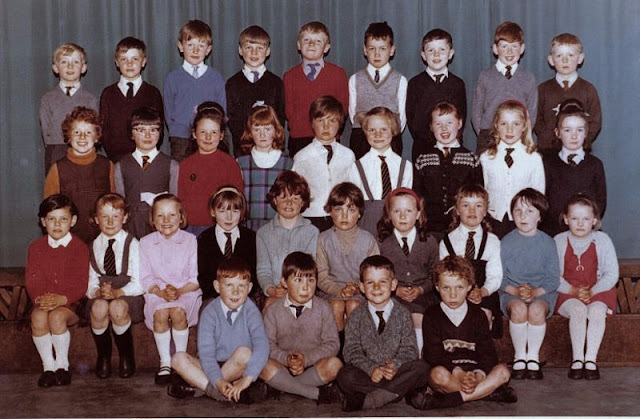 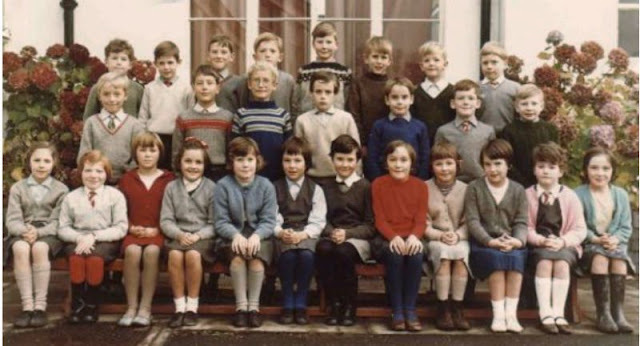 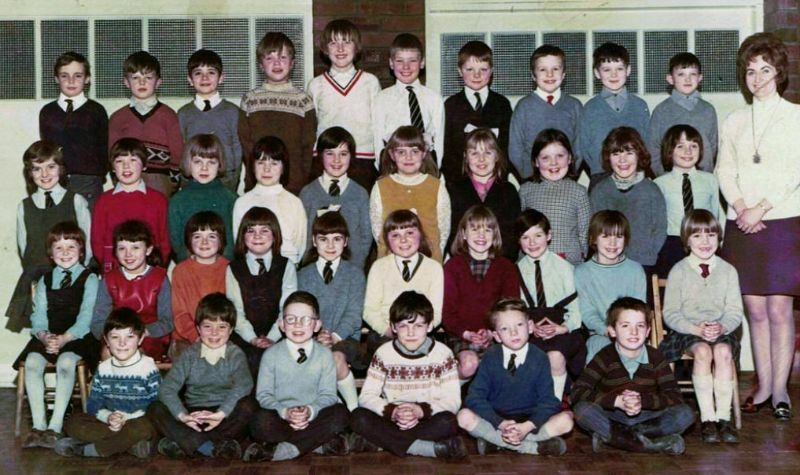 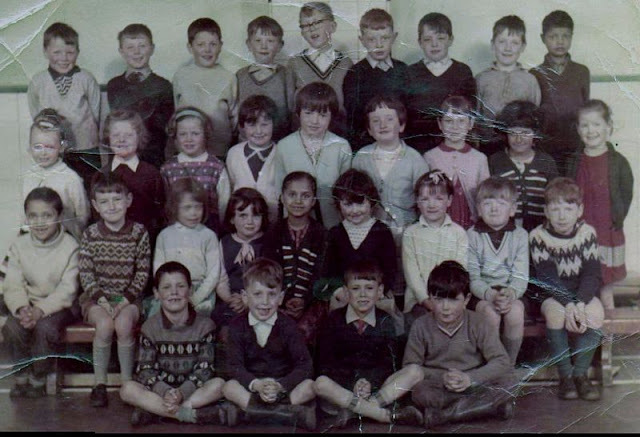 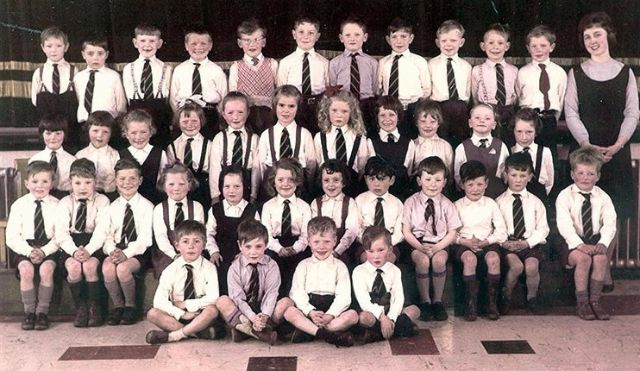 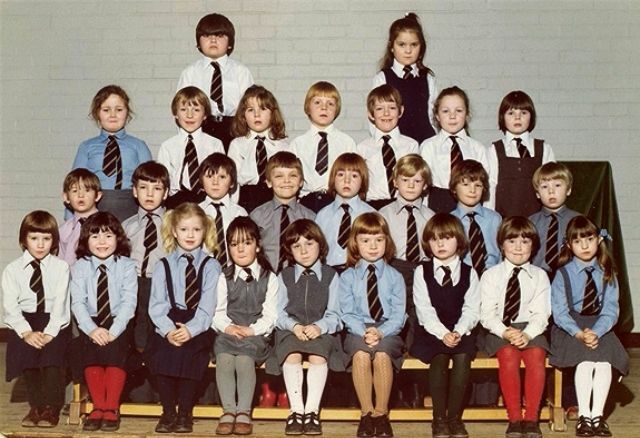 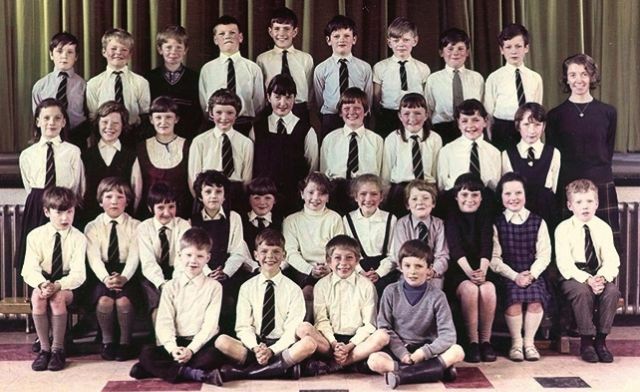 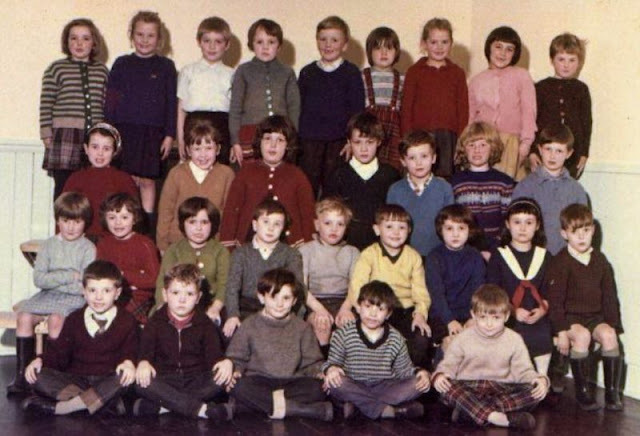 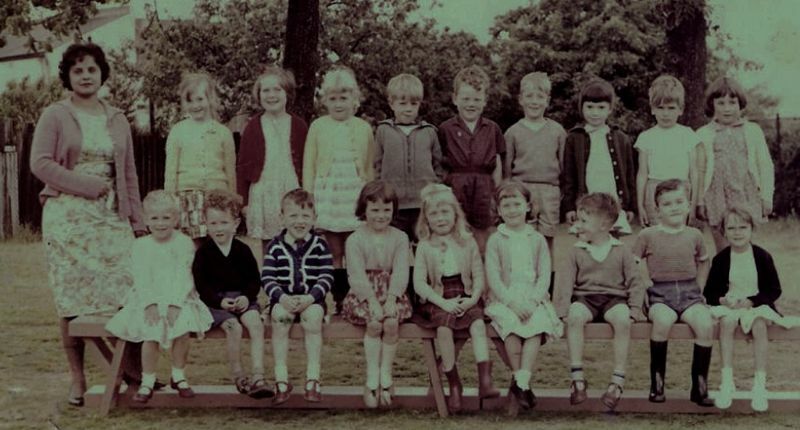 These class photos from Philip Howard that show how children of primary schools looked like from between the 1960s and 1970s.